Most great Silicon Valley startups start out lean and simple. The advantage they have over established companies is the focus they can bring to a single product or idea. Unencumbered by bureaucracy or a heritage of products to protect, a small group of talented folks is free to attack a concept with speed and smarts. Eagerly working hundred-hour weeks, the employees want little more from the “company” than that it pay the bills and get out of their way. I’ve always found that small teams can achieve so much more than large ones. All the great inventions have been achieved by small groups of people. The trick, I think, is how you’re able to continue to embrace that even as your company grows. Hiring the right people is only the beginning—you also have to build an open corporation. Think of it this way: If you look at your own body, your cells are specialized, but every single one of them has the master plan for the whole body. Yes. It’s hard to do all of those things: hire the right people, create an open environment, and make sure everyone knows the mission and is working together, as a unit. The great companies seem to be able to put those three things together. …an essential characteristic of great leaders: deep restlessness. This one rings so true to me. A great leader is always in pursuit, never quite reaching the goal because they’re always moving it just out of reach. The ability to be continuously restless AND execute at the same time, that’s where the magic happens. STEVE WAS DEEPLY focused during these years. He had pared his life down so that he could be as expansive as possible in very specific aspects of his work. The dividing lines were clear. Family mattered. A small group of friends mattered. Work mattered, and the people who mattered most at work were the ones who could abet, rather than stifle, his single-minded pursuit of what he defined as the company’s mission. Nothing else mattered. This is something that I continue to work on in my life. As an example, with time being so precious, I’ve recently started to optimize my drive time. “I remember a conversation in which we talked about how do we define our metrics for feeling like we have really succeeded? We both agreed clearly it’s not about share price. Is it about number of computers we sell? No, because that would still suggest that Windows was more successful. Once again, it all came back to whether we felt really proud of what we collectively had designed and built. Were we proud of that? 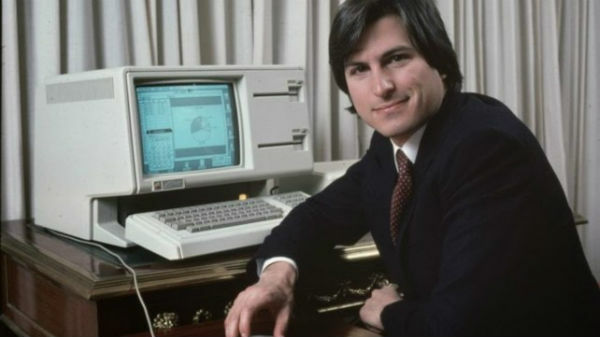 The thing that I admired most about Jobs was that he had this one driving pursuit in his life, to create products he could personally be proud of. His methods could be ugly and relentless, but his heart was pure on that matter. It’s hard to find something that you’re passionate above all else and somehow make that into a career.